1. I didn’t think much of the blog name. I attended an event before and I think no one understands the name even if I said it already. Now that I changed the name, nagkagulo naman mga posts ko. Back to zero with the Google search and the sites which linked up the posts to my blog. 2. I seldom update my blog. I had a hard time adjusting with Meg’s schedule and mine that I wasn’t able to blog (two months straight I think). 3. I don’t know about the blogosphere. I was not aware of the blog world. Yung tipong makasulat lang go na. I didn’t know that there are a lot out there who blogs (and are famous and recognized). I didn’t know about PR, Events, Sponsorship, etc. 4. There’s no connection. I wasn’t able to connect more to people. Now that I’m starting to connect – ang SAYA pala. To learn more about other people – in general, mommyhood and kids. Today may be the first year in my blogging adventure, but for me, this is only the beginning. I have so much to learn and more people to meet and episodes to fill. And NOW indeed, I am The Working Hands-On Mom (The Wh-o Mom). me too! I started my blog without knowledge. more power to your blog! Hi sis. Thanks so much! Good luck in your new venture. It's hard work but rewarding. Nice new blog name. Good luck to you dear. Hope to see u in one of the events in the future. nice blogname! happy blogging! I used to blog and got the hang out the blog world, but stopped, and now it kinda feels different to me. so starting again. Happy blogging to us! Happy blogging Cara. It's nice to meet new people in this virtual world. Congratulations!! Like you, I started virtually knowing nothing about blogging. i simply wanted an online diary...i even considered writing anonymously so as not to draw attention and hinder my freedom online hehe. But it's been fun. Been maintaining sites for 5 years now and very rewarding! Naku sakit sa ulo actually. Tingnan mo yung header ko iba sa blog name ko. Di ko pa talaga maasikaso. 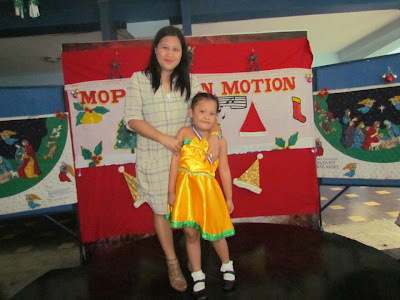 I don't know if career mode na nga to, but I'm happy to meet more moms who blog. Ang saya e.
Thanks dear. I agree, super fun yung mga blog hops. Hope I could find more time for that. I need more patience and whole blog make over haha! Ang gulo-gulo! Hope this vacation, I can do more creative things for my blog.